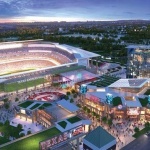 September 18, 2018 October 2, 2018 ArlingtonToday Magazine 228 Views City of Arlington, Rangers, Texas Live! The latest edition of the national and state award-winning Home Plate Update celebrates the grand opening of Texas Live!, construction milestones for the $1.2 billion Globe Life Field as well as the stories of the talented people who are helping Arlington and the Texas Rangers turn the dream of these transformative projects into reality. Home Plate Update is a joint project by the City of Arlington’s Office of Communications and the Texas Rangers. 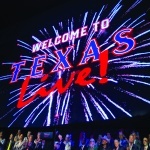 This quarterly publication is dedicated to informing citizens about everything happening with the retractable-roof Globe Life Field project and the adjacent Texas Live! development. Every edition will be produced in a digital format, allowing for layers of additional content like videos, graphics, links to websites and project documents, and other supporting materials. 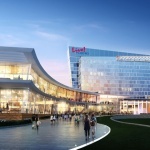 In this seventh edition, you can catch up on the construction progress for the climate-controlled Globe Life Field, which opens in March 2020, and learn more about the intimate atmosphere fans will be able to experience at the new ballpark. Check out the recently opened North Plaza near the future ballpark, which features an interactive Texas Rangers-themed fountain, six towering video boards and the new “Going to the World Series” statue. You can also catch four entertaining new episodes of At the Park with Chuck, a series on MyArlingtonTV hosted by Rangers’ PA announcer Chuck Morgan. Home Plate Update recently received the highest award from the national organization, City-County Communications: Marketing Association, or 3CMA in the E-Newsletter category. The City of Arlington was honored to receive 13 awards at this year’s 3CMA Savvy Awards in Milwaukee, Wisconsin. “From a Rangers’ perspective, working with the City to create this quarterly newsletter has been invaluable. 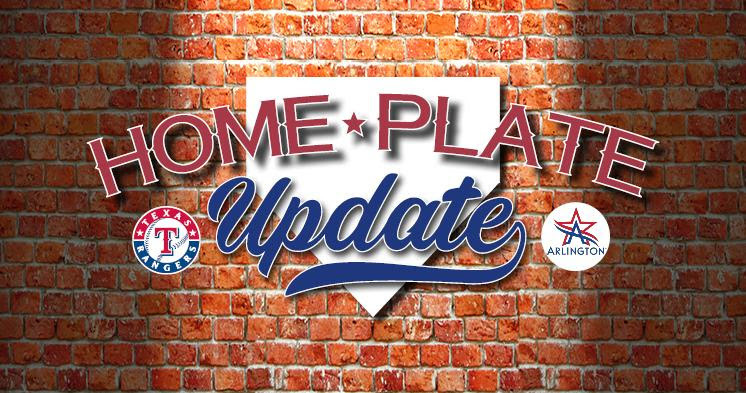 Home Plate Update has provided a great chronicle of this project since day one,” said John Blake, Texas Rangers executive vice president of communications. Earlier this year, the publication received top honors by the Texas Association of Municipal Information Officers, which awarded the City of Arlington a TAMI Award in the Tech Services – Electronic Newsletter or Magazine category.